Disadvantages Of Bankruptcy | Find Out How It Will Effect You! There are many long term disadvantages associated with Bankruptcy which need to be considered before you make your final decision. That's not to say it is not the right choice for many people with serious debt problems, it often is, especially if you aren't a homeowner or don't have any assets. If you are considering going bankrupt, it's important that you find out exactly how it will effect you and the impact it will have on your life. All available assets will be sold to your creditors in order to meet your unsecured debt commitments, including your home and possibly your car. Only those which are required for a basic standard of living will remain. Use our Free Online Bankruptcy Assessment to see if you qualify and how Bankruptcy will effect you. Bankruptcy details may be advertised in your local paper and can be viewed online at the Insolvency Service website. As you can see, there are many disadvantages of bankruptcy that cannot be avoided. N.B. Are you sure declaring bankruptcy is the only option, there are alternatives? IVA - Government introduced IVA legislation as an alternative to Bankruptcy. Your Bankruptcy debt can be written off and you keep control of your assets. Losing control of your finances and possibly your home are some of the worst disadvantages of Bankruptcy. Trust Deeds - Often referred to as an IVA for Scotland. A Trust Deed can write off unaffordable debt, but the terms vary from an IVA. Debt Management - An informal debt repayment scheme where we can arrange a lower monthly payment to your creditors. 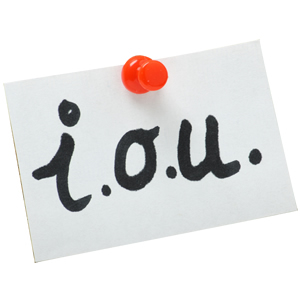 Your debt cannot be written off but creditors are sometimes willing to freeze additional interest or charges.